Hotshot pilot Nax Hall has a history of making poor life choices. So it’s not exactly a surprise when he’s kicked out of the elite Ellis Station Academy in less than 24 hours. But Nax’s one-way trip back to Earth is cut short when a terrorist group attacks the Academy. Nax and three other washouts escape - barely - but they’re also the sole witnesses to the biggest crime in the history of space colonization. And the perfect scapegoats. On the run, Nax and his fellow failures plan to pull off a dangerous heist to spread the truth. A dreamer is born - the exhilarating prequel to the ground-breaking, extraordinary Bone Season series. 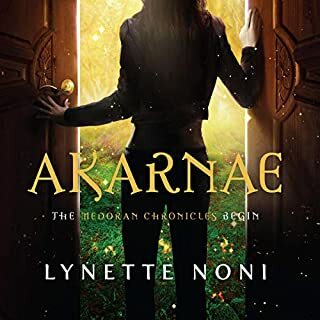 In the perilous heart of Scion London, a dangerous and valuable poltergeist is on the loose - and it must be caught before chaos erupts on the streets of the capital. Here, the clairvoyant underworld plays by its own rules, and rival gangs will stop at nothing to win such a magnificent prize. Sixteen-year-old Paige Mahoney is working for Jaxon Hall, the most notorious mime-lord in the city. He thinks she is hiding a powerful gift. Across the dark sea, Tané has trained to be a dragonrider since she was a child but is forced to make a choice that could see her life unravel. Meanwhile, the divided East and West refuse to parley, and forces of chaos are rising from their sleep. I couldn’t put this book down. Refreshing and surprising but still satisfyingly ‘on genre’. Great roles for women. Excellent writing style. Can’t fault it. Beautifully read too. If you thought Brandon Sanderson had a corner on standalone epic fantasy then you're in for a surprise with this one! As usual, let me start with the narrator. I've never listened to an audiobook read by Liyah Summers before, and after hearing this I can't understand why! She is absolutely one of the top talents in the business. She has impressive vocal range, giving us a wonderful assortment of voices, and even her male voices are widely varied and sound amazing! Her skill with accents is likewise incredible. 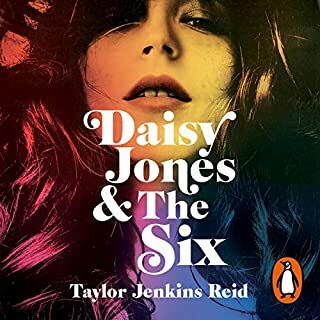 She varies her pace to be a reflection of the events she's describing, which provides an excellent tempo throughout the book, and her vocal inflections are damn near perfect! Now, as the story begins there is a bit of a learning curve as we're dropped right in the middle of several different characters in different places doing different things and it does take a bit of time to acclimate to the nuances of each character and location. One of my biggest complaints about so many fantasy novels is the over explaining. I don't need twelve minutes of exposition to explain the context behind the events you're about to describe. Just describe them and let me draw my own conclusion. Blessedly, there is very little to none of that in this book! 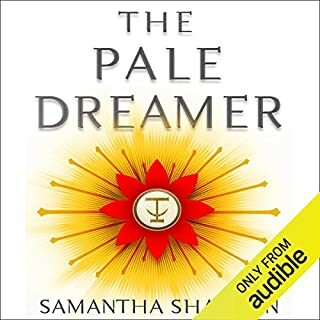 Samantha Shannon has built a wonderful world here with deep, rich history (not all of which is known or true), complicated political atmospheres, fascinating mythology, and some startling revelations. At first, it seemed she had committed the (to my thinking) sin of making all dragons evil. But it turns out the world is a whole lot more complex than that. 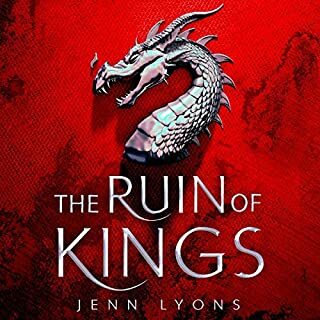 There is a part of me that's tempted to compare this book to A Game of Thrones, as there are definite similarities (largely in that court intrigue is a massive part of the story). There is a problem with drawing that comparison, however. In short, this book is better. Way better. In every way. The pointless, senseless brutality, vulgarity, violence, and sexual assault are absent. What brutality and vulgarity there is always serves a purpose. The storyline is way more concise, without the meandering and randomness. And frankly, the writing is just better. Orders of magnitude better. I can't say I'm entirely on board with the magic system, as I'm not overly fond of magic sources being external to the user (I have the same problem with GoT and many others). However, it is interesting. Elsewise, the closest thing I have to a criticism is the profusion of matriarchal cultures/societies. So far as I can tell, the world seems to have numerous matriarchies but only one patriarchy. And none that treat both gender with equal merit. Don't get me wrong, I don't think fantasy needs to be all about gender equality or anything, it just strikes me as a little odd that all these human societies are so strongly weighted toward female rule. In the end, whatever excites you about epic fantasy, you'll find it here. We have court intrigue galore, reversals, twists, secrets, and mysteries at every turn. We have deep, rich history, epic battles, phenomenal magical items, and genuinely heartfelt moments, both sweet and passionate. In short, this is the single best standalone fantasy I have ever read. You can't go wrong with this one. 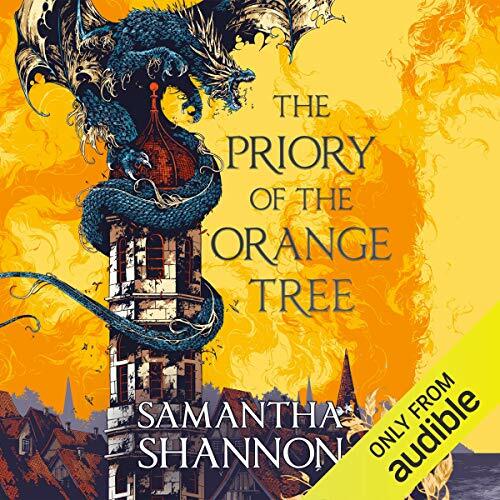 Samantha Shannon masterfully constructs a fantasy world underscoring many of the same issues important today -- feminism, religion and the dangers of fanaticism, distrust of outsiders, etc. Notably, the story takes place in a sophisticated, complex political climate, where there are not simple answers to everyone working together in harmony, ringing true to the globe today. Personal identity themes are also embedded throughout -- homosexuality, religion/skepticism, and the value of friendship to name a few. It's intriguing how much of society is matriarchal, allowing Shannon to explore a world where misogyny has not abounded for centuries. The story itself is very well interwoven between many characters and lands, and I found myself completely engrossed. 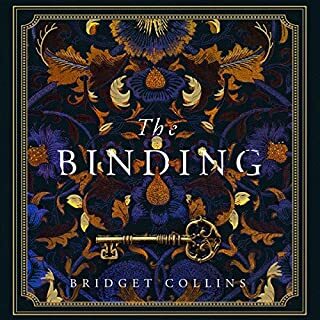 You might feel a little confused and overwhelmed at the beginning because there are a lot of names and places to digest, but as you keep reading it all builds, connects, and becomes interwoven. While I agree the narrator is not my favorite ever, I don't agree she's the worst ever. Some characters do sound similar, but not all. It took me a little time to get used to her delivery, but some subtleties grew on me as I listened more. 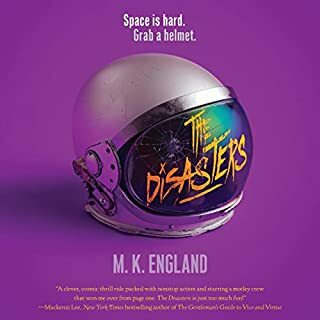 I think she does a reasonable job getting across certain personality traits and drawing my attention to them, such as Ead's growing willingness to stand up to authority and Roos' disgruntled state in his perceived failures. 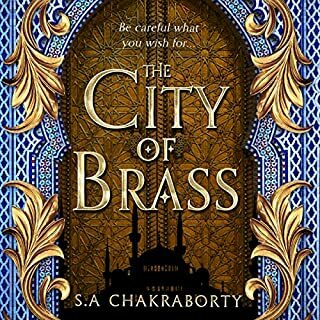 I listen to a lot of fantasy, and would recommend this one as worth your time. First half was pretty decent, with believable characters and a believable world, even if the "politics" were weak. 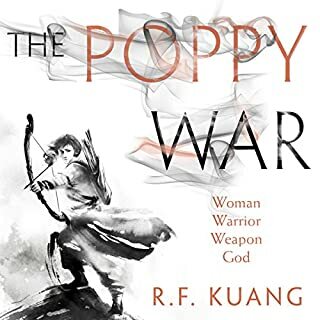 Unfortunately halfway through the author realized she wanted to only write a single book after which proceeds a chain of events just happening to come together perfectly where an alliance between nations was coordinated in a week or so. The other flaw is her idea of character development is the character staying exactly the same until some event happens, after which their personality instantly changes, but then goes back sometimes. The narrator caught too much flak in other reviews. Although she was bad, it was bearably so (for the most part. Some voices didn't fit the characters whatsoever. Overall, don't waste your credit, you'll just be disappointed from hour 15 onward. Narrator lacks any vocal modulation. 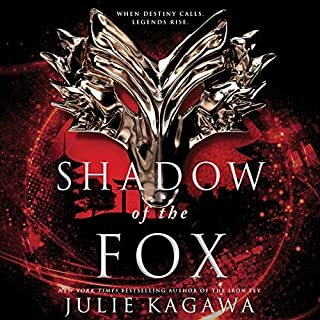 The narrator has a lovely deep voice but she makes no attempt to vovally differentiation between characters, scenes, or emotion. The recording's editor compounded the problem by failing to make a pause to designate transition between the scenes The result is a soporific syrup of words that fails on every level to enliven Shannon's narrative. I love Samantha Shannon, but this was not her best. 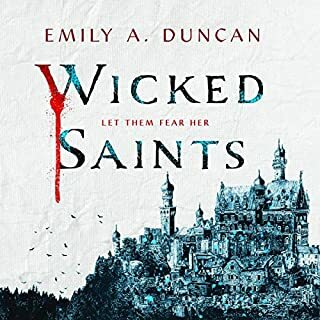 It could have been the narrator making it worse than it really was, sometimes narrators can change a perspective in a book. 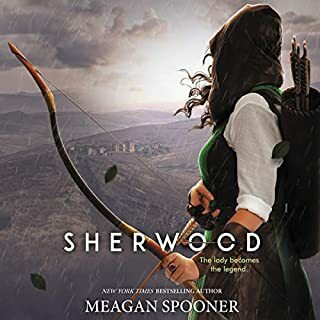 I did not like the narrator as you can probably figure out, and I am saddened by this, perhaps the book would’ve been made better with a different voice. I love Audible‘s attention to the selectionnarration of books. It is not often when this happens where a narrator does not bring out the best in a book. 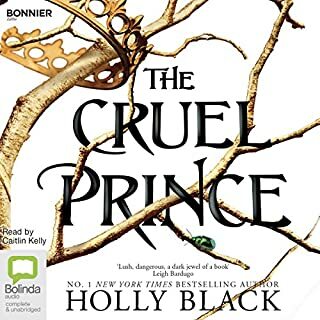 Thanks to Audible‘s return policy a gift they have given to their long time and new subscribers alike, I was able to recover and perhaps save this credit for a better book. Couldn’t handle more than 10 minutes... the reader ruined it for me. Thank god for Audible’s return policy!! 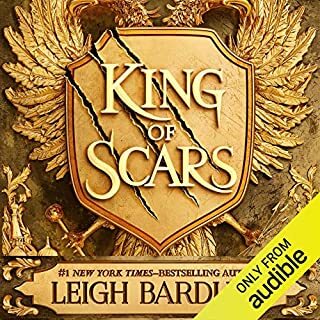 I have listened to hundreds of audiobooks and this is the first time I’ve ever had to return one because the narrator ruined the story. She overacted and rushed through, her accents were awful and it was hard to tell her character voices apart. So amateurish and distracting. I ended up buying the kindle version, just so I could read through and find out what was going on. 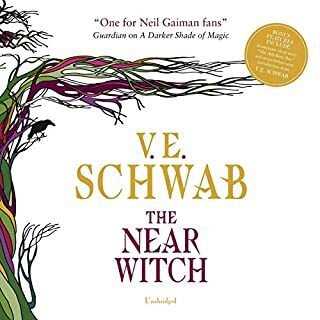 The book itself came highly recommended and I’ll finished reading it but never again will I listen to anything from this narrator. Her accents and voices are inconsistent and all over the place. Her pacing is terrible. The performance is so bad that it's distracting me from the story. Looks like I'll be reading this one only. 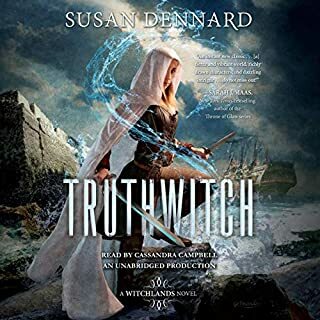 The narrator uses accents and voices; one voice was particularly grating; and fake Southern accents and Scottish accents just don’t belong in this story. The story is ok, but I like her other books much better. I combined listening to the audiobook of this with reading the ebook to get through it. I don't know why this monster of a book (25+ hours in audiobook form!) was narrated by someone who appears to be a first-time audiobook narrator, but it was a poor choice. 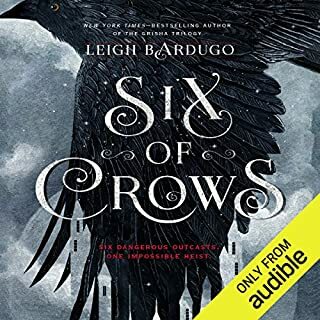 At first, the narration issues seemed to mainly be related to narration pacing, which seemed really off-tempo compared to most other audiobooks that I've listened to - fast at points, slow at points, very inconsistent. But as the book continued, the accent choices became rather bizarre - inconsistent across characters from the same regions, and eventually inconsistent even for the same characters. Overall, the story was okay, although really in need of some substantial editing. There were so many storylines, and although the author tried to weave them together as the book progressed, it just came out a bit jumbled. The first half of the book was incredibly strong (other than the narration), but it really dragged on. I feel like my experience of this book is negatively influenced by the audiobook narration. The narrator constantly mispronounced words e.g. heretic and edict and gave one character an American accent which felt very out of place. Its a shame because the story was otherwise very enjoyable. the narrator is coming across as amateurish which has detracted from the story. we have stopped listening to it. The men sounded just the same as the women, it’s that bad in places! I wish this could be recorded again. I really really wanted to listen to this story but I just couldn’t get past the poor narration. I found it hard to differentiate between characters. You would jump between main characters but as the voices were all the same it was hard to tell that the focus had changed. Stick with it, it's awesome! I absolutely loved this! I got confused at first, but absolutely brilliant when I stuck with it. 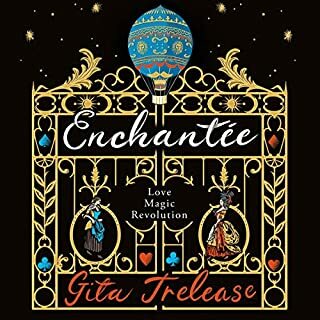 Magical story with strong female characters and fabulous narration! This story promised a lot . And failed I struggled to finish it the world created was impressive but I was not attached to any of the characters, I could have stopped at any stage and never bothered with another page . The story itself was good but introduced so much world setting over a prolonged period. I found it a slog to get into the plot itself and almost put it down several times. The world was vibrant and detailed but the narrator didn't do it justice. Very animated but limited in their range. Amazing in-depth story, told by a very clear and easy to understand narrator. 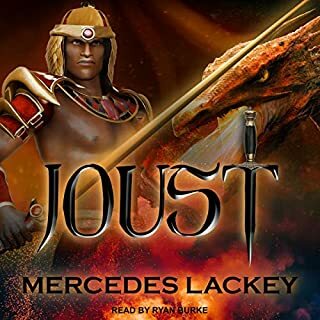 I often struggle with some narrators being too American or speaking too flat, but this is my new favourite audiobook reader. Plus the story is full of world-building, interesting characters and strong females. Love love love! I really enjoyed this book. The characters are well-rounded and engaging, flawed and human, despite the fantastical story. There is so much great adventure here, with dragons, pirates and some romance, too. I enjoyed the narration, and found the different accents for characters from different places a helpful anchor for remembering information about each character. I would say, however, that at times some of the voices are a little bit hammy, and the fairly frequent mispronunciation of words tended to pull me out of the otherwise engrossing story.